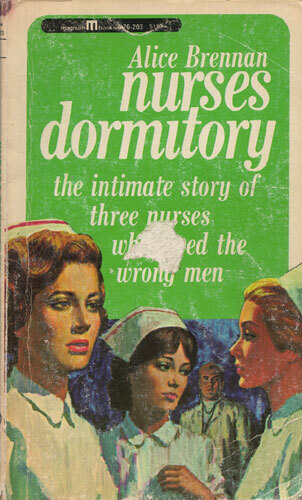 The intimate story of three nurses who loved the wrong men. “Is it wrong to marry for money?” asked Nurse Miller. “Is it wrong to resent your mother because she is a glamorous movie star?” asked Nurse Gray. “Is it wrong to love the boy next door who thinks of you as a kid sister?” asked Nurse Leighton. “Nurses Dormitory” is an unusually warm story of the lives of three young nurses and the men they fall in love with. Told against the backdrop of the wards, corridors and operating rooms of a big city hospital, there is an authentic insight into the scene behind the scenes and every character is as real as a favorite friend.